A wonderful way to use fresh cranberries this cranberry flavored sauce has a savory very satisfying flavor, you may want to double the amount of sauce and use it on some steamed rice. In small saucepan combine cranberries, water, honey, and balsamic vinegar. Simmer until cranberries begin to pop. Remove from heat and mash the cranberries with a potato masher. Add oil, ketchup, mustard, onion, garlic, bouillon, lemon juice, paprika, and nutmeg. Bring to a boil and simmer uncovered for 10 minutes. Reserve 1/4-cup sauce. 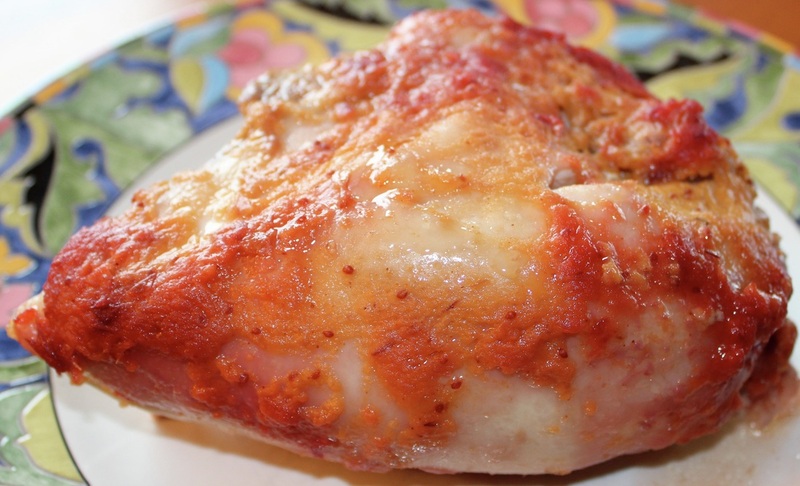 Pour the rest of the sauce over the chicken, cover with foil, and bake for 1 hour.